Tinker, tailor, wise man, madman, taxman - please! Afrobarometer. 2013. An African-Led Series of National Public Attitude Surveys on Democracy and Governance in Africa. accessed 10 December 2014. FAO (Food and Agriculture Organization of the United Nations). 2014. Locust Plague in Madagascar Halted, But at Great Risk of Resurgence. accessed 10 December 2014. Franchi, G., Rakotondrainibe, M., Raparison, E. H. and Randrianarimanana, P. 2013. 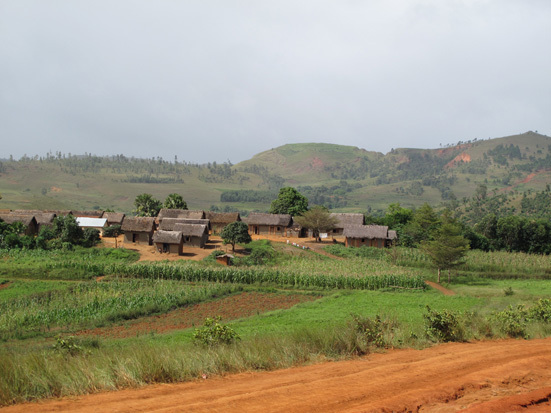 Land grabbing in Madagascar: Echoes and testimonies from the field 2013. Unpubl. Report. accessed 14 December 2014. Fukunishi, T. 2013. Political crisis and suspension of duty-free access in Madagascar: Assessment of impacts on the garment industry. Discussion Papers No. 422. IDE-JETRO. accessed 10 December 2014. IRIN (Integrated Regional Information Networks). 2014. Madagascar Back in the US Trade Fold. accessed 10 December 2014. MDG Monitor. 2007. Tracking the Millennium Development Goals. Madagascar. accessed 10 December 2014. Randers, J. 2012. 2052: A Global Forecast for the Next Forty Years. Chelsea Green Publishing, White River Junction, VT, USA. United Nations. 2014b. The Millennium Development Goals and Beyond 2015. accessed 10 December 2014.